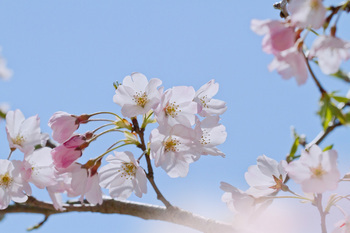 As the cherry blossoms bloomed earlier than usual this year, they are almost over in many areas. This is a photo shot against the light, and the flower petals are translucent. Backlight makes flowers appear to glow.